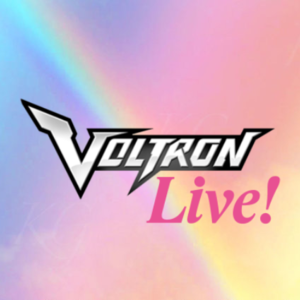 Voltron Live! Legendary Idols Project is a fanmade crossover abridged series between Love Live! School Idol Project and Voltron: Legendary Defender. This series will include parody songs from Love Live with a little bit of a Voltron twist to them. - Please watch Love Live! School Idol Project Seasons 1 and 2, the Love Live! School Idol Movie, and Voltron: Legendary Defender Season 1. More roles will be added over time. Hunk Koizumi/Hanayo Garrett is an engineer, left leg of Voltron, paladin of the yellow lion, and another idol enthusiast alongside Lance/Nico. They're a great cook with a big appetite. Being away from Earth causes them to cry over not having a bowl of rice. Hunk/Hanayo is the best friend of Rin Holt/Matt Hoshizora who was captured in the Kerberos performance. They're is the shyest, but a strong force to push the team. I-IS THAT THE ALIENS?! ARE THEY HERE NOW?! Come on, Umi. You got me hooked on that food goo and now you're changing it up. We have this amazing planet with spices and this... tube thing? No, Nico. I think you mean, "Hana-Hana-Yo!" 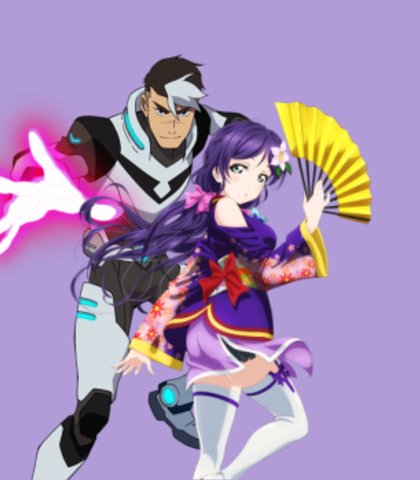 Takashi "Shito" Tojo or Nozomi Shirogane is the leader of Team Voltron, paladin of the Black Lion, and was a former exploration pilot. They were captured during the Kerberos performance and were held captive by the space idol group, G-RISE, for a year until Nozomi was suddenly sent back to Garrison Otonokizaka on Earth with a strange G-RISE arm prosthetic. 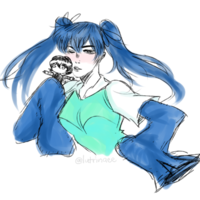 Takashi/Nozomi enjoys fortune telling as well as training and working hard. They're a powerful driving force for the team and it always pulls Team Voltron through performances. Preferred weapon of choice is her G-RISE arm prosthetic. You guys really like collecting ice samples, what's with that now? "Allura Ayase, these are your idols. Please tell us what you think we should do." or "Elichii, these are your paladins. Please, what do you think is our best course of action?" Maki, that's not how an idol group should work. They have to want to be a part of it, not be forced into it. Kotori it's your choice, but please think about what you're doing. 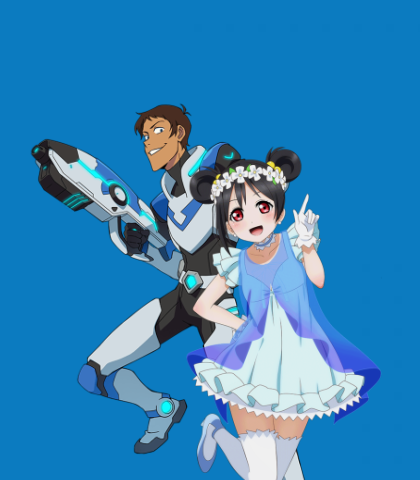 Lance Yazawa/Nico McClain is a former cargo pilot, fighter pilot, the right leg of Voltron, paladin of the Blue Lion, and idol enthusiast at Garrison Otonokizaka. Unlike Maki/Keith, Lance/Nico intentionally rivals with them all the time. Lance/Nico enjoys messing around, researching other idols, and competing with Maki/Keith. They're known to be a flirtatious character, mainly with Allura Ayase/Princess Eli. They believe themselves to be the #1 Legendary Idol in the universe as well. Preferred weapon of choice is a blaster. Wait! Hold up! Let me guess... Takes the cutest slash best idol pilot in the bunch? When I say "Nico", you say "Ni"! Nico! So when we go in for the performance, do I just go in and say "Nico-Nico-Nii~"? ....Those are cute idols moves of mine!